Relax with a pick-up from either the cruise ship terminal or your hotel with your group of 1 to 6 or 7 to10 travelers. Enjoy the privacy and suitability of having a comfortable van at your convenience for the flexible time you want: up to 3, 8, or 12 hours. See the best of Acapulco with your English-Speaking driver/guide, who takes you to any attraction you want in Acapulco. Have a fun day with your group as you see Acapulco on this customized experience. Enjoy your comfortable van while exploring the City of Acapulco. Your driver is English and Spanish-speaking, and you can enjoy comfort and safety at your service. This is perfect option if you want to see Acapulco on your own with your family or friends. Whether you choose to be greeted at the Cruise Ship Terminal or hotel, you'll have worry free service. 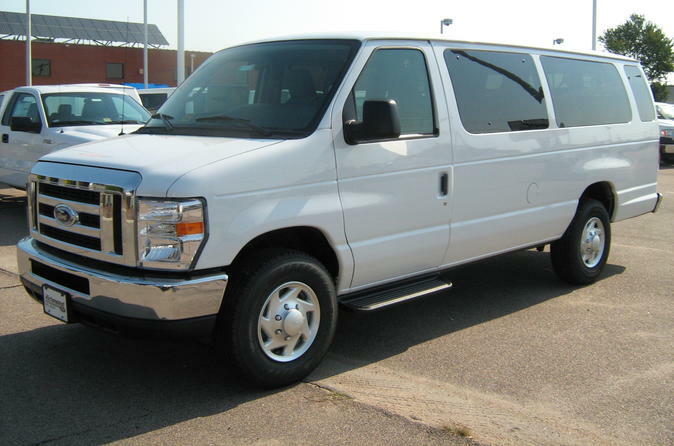 Choose to rent the van for 3 hours, 8 hours or 12 hours and your driver will take you on any tour you'd like. You may want to visit downtown or a beach and can enjoy sightseeing or an urban tour. The package is always flexible and your driver is helpful to make sure that your trip is an enjoyable and comfortable experience. Your driver will be constantly aware of your safety so you can relax and enjoy your trip and vacation in Acapulco.